A can of love incense that “doesn’t work”, a torn wedding dress from a failed marriage and a York teapot bought for a reunion of a long lost brother and sister are included in a brand new exhibition at York Castle Museum. Just as Britain is set to break up with the European Union, York Castle Museum brings a collection of stories and symbolic possessions to the city which relate to the ways love can be lost. Always heartfelt, sometimes humorous and often deeply moving, the collections from the Museum of Broken Relationships in Zagreb, Croatia, will be enriched with objects from the museum’s objects and those donated especially for the exhibition. 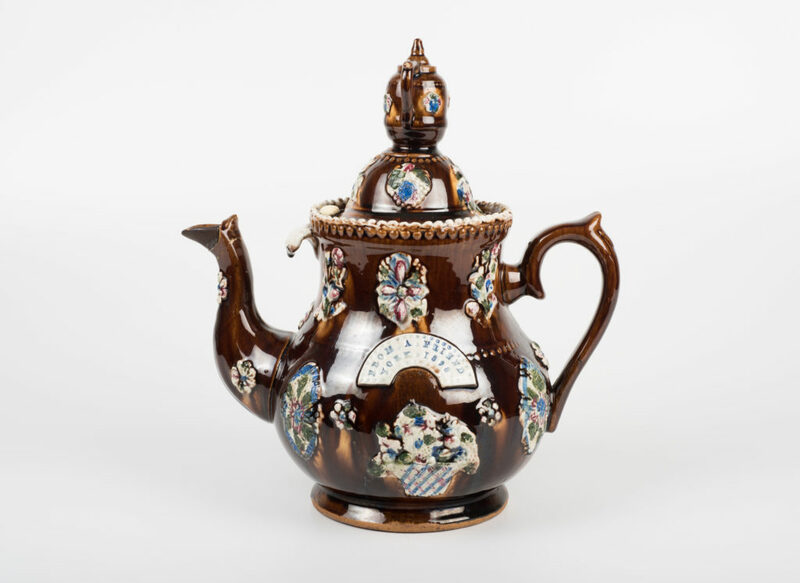 This includes a teapot bought by a York man when he first met his sister he had never known. A teapot bought by a York man when he first met his sister he had never known. Joseph and Hannah were born in York between 1890 and 1893 but were separated when their parents died. Joseph found out he had a sister in 1910 and travelled back to York from his home in London to see her, and bought the teapot as a memento. Philip Newton, part of the curatorial team at York Museums Trust, said: “The exhibition features objects and stories from all over the world, collected by the Museum of Broken Relationships in Croatia, but we have added to this with stories from our collections and also from new objects donated by members of the public. The Museum of Broken Relationships is now open and is included in the museum admission price. The majority of objects on show are from the Museum of Broken Relationships, on loan from Croatia. Items from York Castle Museum’s collections include those looking at the relationships between countries, such as the “Empire” chocolate bar made by Terry’s, and letters from a mother and son who was lost in the First World War. The donated objects will either enter into the collections of the Museum of Broken Relationships or York Castle Museum once the exhibition ends in March 2020.